Last year my friend has deployed his own website on internet and tries to search on Google/yahoo and other search engines but they are unable to enlist the website in it, even Google failed to show the name of his website in auto complete/suggestion textbox too. Everyone wants to see their website name on first search page of Google/yahoo/other search engines when they search. But it needs some technique that should be apply and used for each webpage that we have deployed on internet. Search engines are the heart of the internet. we know there are zillions websites available on internet and still increasing day by day, In such a case search engine plays a very important role to search any content/pages on this ocean. 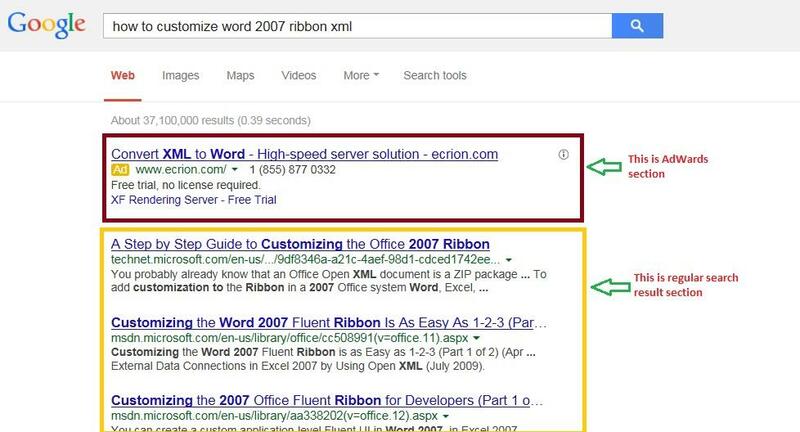 that outlined below and will make it easier for search engines to crawl, index and understand your content. Every year search make changes in their way of working and try to optimize the search patterns, your site needs to update as well to persist in this race. The most important part of search engine is PageTitle. Search engine begin the search from here only. Your application/website should have good accurate page title. 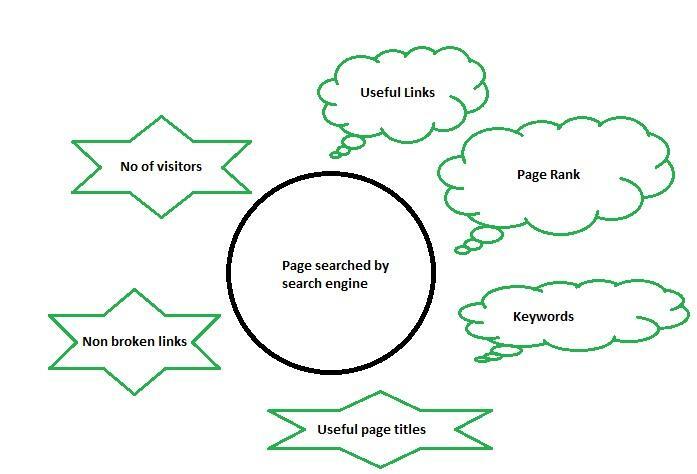 By using title user and search engine should know "what the topic of a particular page is"
Many times i have seen there is no page title for many WebPages. Avoid doing that, add Page title to each pages, the Page title should be present under 'HEAD' section of page. When user search any 'term' in Google then if the searched 'term' is exist in title then it will displayed as BOLD in Google search result. Most of the time the Google suggestion list is picked from Page title itself. - Search engine optimization affects only organic search results, not paid or "sponsored" results such as Google Ad Words. - Keywords that are used in page. The keywords are the words that are put by the user in search engine criteria for searching, so our website should contain proper and popular keywords. Frequency and location of keywords is most important in Web page. do not try to include 'FAKE' keywords in your website that are not related to your web content otherwise your website may be BLACK listed by search engine. If the keyword only appears once within the body of a page, it will receive a low score for that keyword. You should use your main keyword for each page in the file name, preferably at the beginning of the first sentence. - Links used in page are played important role in searching. 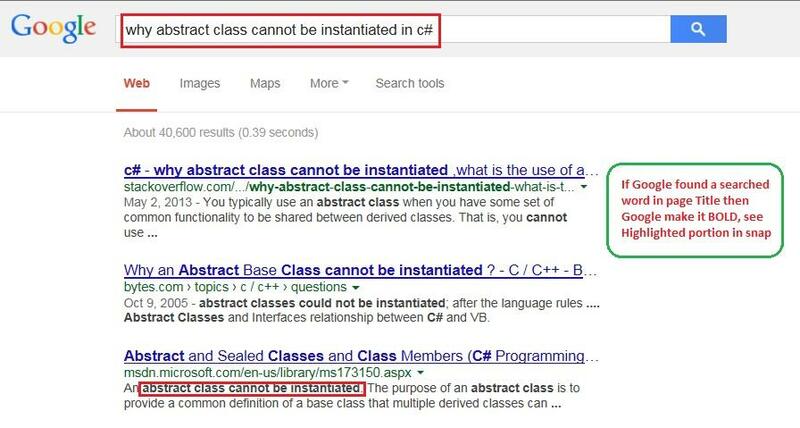 Search engine uses 'crawing and indexing' like algorithms for link search, it follows the link and check for the rating of linked page. - Uniqueness of the content is also a noticed by search engine and proper use of Meta tags is also important. - One of the noticeable aspect is "How long the Web page has existed on web? ", The age of the page is also considered while searching. People create new Web pages every day, and not all of them stick around for long, Google link search engines places more value on pages with an established history. Google like search engine take use of automated robots for searching like "crawlers" or "spiders", with the help of them it can reach to many billions of interconnected documents. Currently, the major engines typically interpret importance as popularity. The more popular a site, page or document, the more your rating is. Here in this case search engines have continued to increase users’ satisfaction by using metrics that interpret popularity. - While designing content of the page you should keep a thing in mind that, pages should primarily designed for users, not for search engines. - Don't be dishonest with your users or present them different content that are used for search optimization, this is commonly referred to as cloaking. - While you make website you should make a clear hierarchy of text and links. Every page should be reachable from at least one static text link. - Create a useful, information-rich site, and write pages that clearly and accurately describe your content. - Make sure that your "TITLE" elements and "ALT" attributes are descriptive and accurate. - Give rel='nofollows' attributes to every link that you used in your websites, it will stop the search engines to follow the link, it will improve performance. - First you need to understand the Use of keywords, it is the pathfinder for websites, You should create descriptive, human friendly URLs. : Create keyword-rich content based on research to match what users are searching for. : Always update your website to produce fresh content regularly. : Don’t put the text that you want indexed inside images. For example, if you want your company name or address to be indexed, make sure it is not displayed inside a company logo. Finally, internet is the big ocean and search engines always try to search for golden fishes in it, lets help it to make a better outcome. This is a great and useful resources that newbies in blogging should always use when they want to drive traffic to their sites or blogs. I am particularly educated on this topic and I will surely come back.